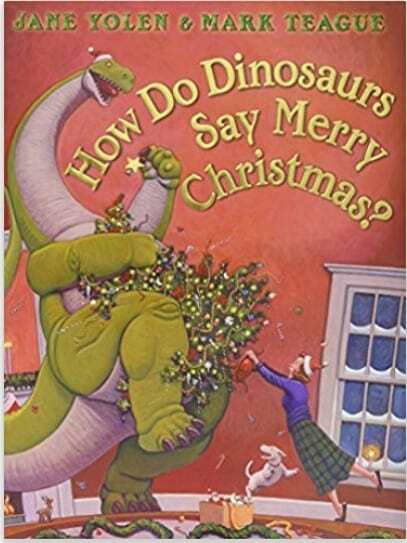 The book How Do Dinosaurs Say Merry Christmas? is on sale for $8.32 at Amazon right now. That's 51% off the list price of $16.99! From decorating the tree to wrapping presents, little dinosaurs love to celebrate Christmas-and everything about it. With ornaments on the branches and carolers singing at the door, the spirit of Christmas is finally here and filling the hearts of families everywhere. But when the stockings are hung on the chimney, and the cookies are left out for Santa, how can little dinosaurs go to sleep? It's so exciting! How can they possibly calm down and behave? Amazon has lots of Christmas Books for Kids on sale so be sure to check them out!